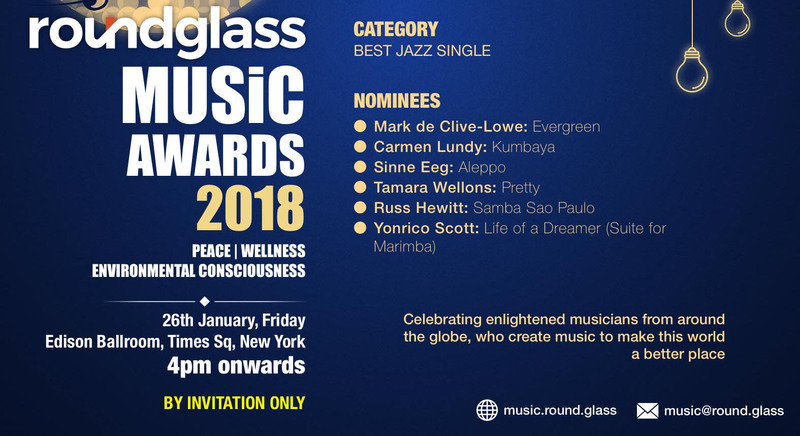 I am truly honored and humbled that my composition, “Samba Sao Paulo,” from Cielo Nocturno, has been nominated for the RoundGlass Music Awards in the Best Jazz Single category. The RoundGlass Awards honor those musicians that want to help make a better world. The ceremony will take place at the Edison Ballroom in Times Square, NYC on January 26th. The nominations were decided by jury vote out of over 3,500 entries across 12 categories from over 100 countries. The winners will be decided by peer vote.